The title of this song from the rock group REM sums up the attitude of many investors over the last several months, and indeed, the last several years. An investment journalist summed-up the situation a few years ago when he used the term “disaster du jour”. What I’m getting at here is that for some investors, there is always a reason to not invest today. The most common reason I’ve heard recently has been the government shutdown. But that’s not the only one—the China tariffs and the possible effects they may have has been a popular one as well. I don’t want to discount investor sentiment, because being able to sleep at night is a real concern. As an advisor, I sometimes walk a fine line between advising my clients with unemotional advice, and knowing my clients need to be comfortable with their investments. December 5, 1995—the DJIA closed at 5177.45. Since then, the market has increased by fivefold…a gain of 403.3%. October 1, 2013—the DJIA closed at 15,191.70 The Dow has moved up by 71.5% in this period. Although government shutdowns are a phenomenon of recent government inefficiency, once they became en vogue, bickering politicians have enjoyed subjecting us to a number of shutdowns. This most recent shutdown was the twentieth since 1976. Our economy has kept chugging on along through them all. My point in reviewing these events is to recall how terrible they were at the time. As uncertain as a government shutdown can be, each of these events were troubling and represented potential instability in various ways. Yet, each one of these disasters is sooner or later forgotten for another disaster and that one is replaced by another. As long-term investors, we should be prepared for this type of event and know they are part of everyday life. A recent New York Times op-ed piece entitled “Why 2018 Was the Best Year in Human History!” reminds us that as a species we are making great strides and meaningful progress that are benefitting a larger portion of our planet’s inhabitants than ever before. For instance, more people than ever are literate, have access to clean drinking water, are getting online, and are living longer lives. Also, children are seeing higher survival rates, and are being vaccinated at history’s highest rate. As an advisor, I’m often asked about my opinion on national or world events, and how those may affect the stock market or interest rates. We can focus on what’s wrong with this world--the wars, the threat of terrorism, famine, disease, and any number of things, or we can choose to be optimistic about our future. Seemingly cataclysmic events will always continue to happen, and as investors it is helpful to have a plan on how to invest in the face of “disasters du jour”. There is no good time or bad time, no best or worst time, to invest. The best way to manage risk is to dollar cost average your deposits into the market by investing regular sums on an evenly-spaced interval into your investments. A reasonable length of time in the market will reduce your risk of fluctuation in your investments, and also reduce your risk (not eliminate it) that your investments will be down at the time you need to cash them in. If you would like further information or if we can be of assistance, please feel free to give us a call at 865 474-8114. You may have noticed that I’ve taken a brief hiatus from blogging for the past few months. The first half of 2018 was an eventful one to say the least. Two days after Christmas, my father suffered a stroke. He was hospitalized for about a week, and after wasting away for a few months, he died just short of his eighty-third birthday. Are You in the Sandwich Generation, or is This All Just a Bunch of Baloney? I get a lot of similar questions from clients and people I meet regarding financial planning. One question that comes up quite often is how much someone needs to save for a comfortable retirement, and where should they be saving. That’s a very difficult question to answer at a cocktail party, but a very important one to be asking. Because everyone has a different picture of what they want their retirement to look like, working toward that goal becomes more and more important as the years roll on. As someone gets into their forties, especially late forties, building a road map toward retirement becomes a solid strategy for success. This road map takes the form of a financial plan. You build a current snapshot of your financial situation. You’ve probably heard the saying, “how can you know where you’re going if you don’t know where you are?” It helps to take an assessment of your investments, insurance, tolerance for risk, and goals for the future. If you need to address any shortfalls in risk protection, now is the time to do it. You discuss what you want your plan to look like. Everyone is different. The way you plan for your future will probably be different from your friends and colleagues. Also, we’ve enjoyed a stock market that has seen impressive returns for nearly a decade…do you have a plan for any pullback in the market? These are concerns that conversations with an advisor should address. Once you’ve agreed on a plan, you meet regularly to see how you’re tracking toward your goal. One thing is certain—projections of how your money will grow and what your “expected” retirement date and balance will be are going to change every year. If you’re working with an advisor and having regular reviews, you’re able to keep on track and keep your goals in focus. Planning for a retirement that is twenty or thirty years down the road may seem like something that is easy to put off. Work, school projects, sports, and a myriad of other things occupy our time. Knowing that we have enough life and disability coverage to protect our families, and that our assets are allocated correctly can surely bring about peace of mind. By arming yourself with this knowledge as you enter your peak earnings years, you are setting yourself up for a more successful financial future. Few topics can put a damper on conversation at a party like life insurance, and yet from thirty-somethings, I get questions about life insurance all the time. As clients move into their thirties, life insurance often becomes a more pressing concern, and rightfully so. Looking back at the planning pyramid that we have discussed previously, we see that protection is a basic necessity. I’ve worked with numerous clients who purchased a nominal amount of coverage when they were married or got their first real job, and now as we start the planning process we learn that they need to increase coverage. The reasons for doing so are simple: life insurance is designed to replace income should the person earning it not be alive to earn it. As one’s income increases, inevitably, their standard of living goes up (bigger house, new cars, private schools and activities for the kids, etc. ), and life insurance assures that the family can maintain this standard of living, pay any final costs, and not have to worry about money. · Term Life—Term Life is the most basic type of coverage, and for younger clients, the way to buy the most coverage for the least cash outlay. There are many forms of term life, but the most popular cover someone for a specific period of time (a term). It could be ten or twenty years, for example. In return for that coverage, the policy owner pays a premium that is usually guaranteed to be level over that period of time. Because the person is young (in your thirties) and chances of dying are low, and the insurance company knows that risk is for a set period of time, premiums are generally low. · Whole Life—Whole Life is on the opposite end of the spectrum from Term. It is designed to cover someone for their entire life. Premiums are level, and are guaranteed to stay the same over the insured person’s lifetime. The policy builds cash, known as “cash value”, over time. How much cash is a function of the claims experienced by the company, the interest the company has earned on their investments, and their expenses. Cash that builds up in a Whole Life policy can be accessed from the policy without being taxed. In addition, there comes a point where you can stop paying premiums, and let the earnings of the policy pay for itself. · Universal Life—Universal Life is sort of a hybrid of Term and Whole Life. This product was originally designed to be a permanent product like Whole Life, but have internal charges like Term. What that means is that in the early years the actual cost of the insurance is quite low, and any excess you put in goes into cash value. The premiums, however, are not guaranteed, and if the interest rates stay low or the premium isn’t high enough, the policy owner may need to pay more premium to keep the policy in force later in life. This is not an attractive scenario. There is one type of Universal Life, however, that can be set up as basically “term for life”—it is set up so it does not build cash value, but is guaranteed to stay in force until age 120 or 121, depending on company. This is a great fit between traditional Term and Whole Life. The inevitable questions become, how much coverage do I need, and what type of policy is right for me and my family? Those are questions that generally can’t be answered in a five minute conversation. I feel it’s important to analyze the coverage you have in place through work (if any), and any existing personal coverage. Also, it’s critical to know what your needs are. This comes through analysis of salary, debt, and expenses. If you have a stay-at-home spouse, he or she should also be covered. Imagine life without them running the household. This can seem like a very foreign subject and something that is easy to put off to a “better time”, but it is a very smooth and quite educational process. We also use powerful planning software that can help with formulating a life insurance plan. If you’ve been thinking about looking into this, please do not put it off—unfortunately as humans, we don’t tend to get in better health as time goes by; it goes the other way. The better one’s health, the better one’s rates for coverage are. I’ve had several instances over the years where people have put this type of planning off and had a major health issue come up, only to be unable to get coverage at all. If I can be of assistance in this foundational area of planning, please feel free to contact me. As you move from your twenties into your thirties, chances are that your income will rise substantially, especially if you make strategic moves from one employer to the next. One thing you should examine while evaluating a potential employer is the retirement plan offered. There are several nuances available in retirement plans, and they can potentially result in large benefits later down the road. Please note that this blog post is meant to be a general piece of information and not to be taken as specific advice for your individual situation. For many years, pensions were the most common retirement vehicle. Technically known as "defined benefit" programs, employers funded these, and upon retirement paid an income based on a formula using the factors of time of service, age, and income. Now, employer-funded pension plans are very rare, and the burden of saving for retirement has been shifted to the employee. For most people, this retirement vehicle comes in the form of a 401k (or 403b for a non-profit employer). There are other plans available, but for the purposes of this post, we're going to discuss the 401k. If you're looking for a new employer, one of the questions you should be asking is if they provide a match for your contributions into the plan. The match can be calculated many different ways, so do the math to see how much you can contribute. Also, if you are a high-income earner, you may be capped in how much you can contribute to the 401k. Because of this, you will want to ask if the employer has other plans in place that allow additional dollars to be set aside on a tax-advantaged basis. If a match is available--I can't stress this enough--contribute at least the minimum to get the full match. This sounds pretty basic, but I’ve seen dozens of instances of people not taking advantage of the match. It's basically free money from your employer, so you want to make sure and get all you can. You may have the option to choose between a Traditional 401k or a Roth 401k. Consider the Roth option. Here's why: the Roth option allows you to make your deposit, have it grow tax deferred, and make withdrawals tax-free. In addition, with traditional retirement funds, you are required to begin distributions at age 70 1/2. I have many clients who already have adequate income and do not want to take income from a tax-deferred vehicle that has never been taxed before. The Roth option allows you to keep money invested as long as you like, and when you do access it, withdrawals are tax free. Finally, a word of advice if you move from employer to employer and accumulate multiple retirement plans along the way. According to Fidelity, 41% of employees between 20 and 39 cashed out their 401k after leaving their job. That effectively puts them at zero going into their forties—in order to save the same amount by age 65, they have to put away much more money each month than the person who saved starting in their twenties or thirties and kept their retirement accounts from each employer. Do what you can to keep your retirement plan dollars invested; you’ll be glad you did! Last month we examined financial planning issues for people in their twenties. This month we will continue with a look at several issues facing families and professionals in their thirties. As college graduates begin careers and enter the real world, cash flow is often very tight for several years. Buying and furnishing a home, getting married and having kids, and the other myriad expenses associated with “starting out” can be overwhelming. Even when being very conscientious in making purchases, unanticipated expenses such as health crises or needing a new vehicle, put together with college loans can add to a struggling cash flow. Moving from one’s twenties into the thirties is not only marks a progression of time, but also a subtle shift in the growth of a young person’s financial journey. I often see clients make substantial gains in their income throughout their thirties. Some of this is happens because of work experience, some comes from looking for better and higher paying positions. Having a plan to use these growing earnings in an intentional manner will be greatly beneficial in the years ahead. If you have credit card debt, work on eliminating it as quickly as possible. High interest, revolving debt is the worst type of debt. If you still have college loans, put together a strategy for paying off the debt. Work out an amortization schedule and pay them down faster than the minimum payments if possible. Contribute regularly to a separate account to build up your emergency fund. I have many clients who set up an account that we call a “Cash Management Account”. It’s simply a brokerage account designed to receive monthly contributions that we keep in cash. After a few years we may invest a portion, but the key is that although the money is very accessible, it takes another step or two to get to than just going to the bank or ATM, and therefore the money tends to stay there. Evaluate your insurance coverage. This is a broad topic, because over the ten or fifteen years since college (or law school, or med school), many things have changed. More than likely, you have a family, your income has grown, you have a house, cars, possibly a boat, and the list goes on. Often, I meet with people who get life insurance when they are married and never review it. Once children come along and income goes up, it’s imperative to assure needs are met. The same goes for disability coverage as income goes up, especially for certain professionals. Don’t forget to meet with your property and casualty agent on a regular basis to review coverage as well. As your family grows, don’t forget the importance of estate planning. If you and your spouse weren’t here, who would you want to be the guardian (and successor guardian) of your children? The same goes for trustee of funds for them, and how the funds are paid out. Also, don’t forget the importance of living wills and powers of attorney. As the title suggests, these are serious subjects, and “adult” responsibilities. Although on first glance, some of them may seem complex, they really are not. They just require planning and the discipline to stick with a plan of regular reviews. If I can help or if you would like additional information, please feel free to contact me. I Have My First “Real” Job—What Should I Do to Make Sure I’m On the Right Track to Meet My Financial Goals? Landing that first big job out of college is a major accomplishment, and a huge landmark in a young person’s life—it’s the culmination of many years of hard work, and in many cases, lifelong dreams that have been fulfilled. · If you have student loans, design a plan to pay them down. Work on the highest interest loans first if you can pay extra, and pay those off, then work on the next ones. This also goes for any credit card debt you may have accumulated during college. Craft a monthly budget for paying off revolving debt and stick to it. · Resist the temptation for new, big purchases. There is plenty of time to buy a nice car and have that fancy condo; immediately putting yourself in a financial bind can lead to years of financial stress. · Start building an emergency fund. The goal is to have an emergency fund of six to twelve months of cash in the bank for emergency expenses. This could be new tires, a refrigerator that goes out, or any number of things. Remember, you’re out on your own now, and your new-found freedom brings a lot of expenses. · Take advantage of any match available in your employer’s retirement plan. If your new employer has a retirement plan that matches your contributions, contribute at least what you need to in order to get the full match. This is basically “free money” your employer is giving you for participating in the retirement plan, so you don’t want to leave it on the table. In addition, if a Roth option is available, this may be a good choice…while you don’t receive a tax advantage on the contribution, your money grows tax-deferred, and you will not be taxed on the withdrawals. · Be aware of the insurance available to you through your employer, and eliminate the “disability gap”. Most employers will have life and disability insurance available to you at little or no cost. Most employer disability plans do not cover your entire income, and the benefit they pay is taxable. This can create a serious shortfall in income should you become disabled. For more information on this, see this link. Of course, this article only touches on a few of the issues graduates are hit with as they begin their working lives. It’s an exciting time, full of opportunity and new adventures. With proper planning, this time can lay the groundwork for a lifetime of financial success. If you would like to discuss planning for your future, feel free to contact me. As you no doubt are aware, student loans have become an increasing burden on America’s college students and graduates. Consider these statistics: according to the Federal Reserve and the Wall Street Journal, there is $1.45 trillion in total student loan debt, second only to US mortgage debt. Also, 44.2 million Americans have student loan debt—that’s 60% of college graduates. As the years have gone by, the job market has become increasingly competitive. Many people have taken loans out to attend college, and have unfortunately found an extremely competitive job market, with fewer jobs and lower wages. Having been met with poor job prospects, many have opted to continue on to grad school, taking out yet more loans. If you’re a recent college graduate, how should you approach the task of paying off your loans? First, make sure you have protection vehicles in place such as life and disability insurance--in case you cannot make these payments, your new family or parents aren’t burdened with them. Second, avoid temptations from private bankers offering easy credit for cars and large houses; if available, use low interest loans to consolidate these debts. Pay down higher interest loans first. As your income grows, you can set up an amortization schedule to maximize payments and eliminate this debt as quickly as possible. We have planning tools available that can help analyze loans, and strategies for paying down college loans. I’ve seen student loan debt linger well into clients’ forties. It doesn’t go away, so if you’d like to work on a strategy for eliminating it, feel free to contact me. For many years, the concept of asset allocation was pretty simple; figure out the ratio of stocks and bonds that makes sense for the investor, and then break up the stocks into domestic and some international, and a mix of short, intermediate, and long-term bonds, and you’re done. I think there have been some fundamental changes in investing over the last twenty years that make things a little more complicated than just this simple approach. When I first got in the business, people still looked at the paper the next day to see how their stocks or mutual funds had fared the day before. Now, news and information are instantaneous. And for better or worse, a tweet or false claim made about a company on line can affect a stock before a company has an opportunity to respond, sometimes having negative consequences for long periods of time. There is a concept known as “efficient markets”, which suggests that the stock market will perform optimally (that doesn’t mean it will go up, it just means it will perform as it is supposed to) when everyone has the same information at the same time, and can act on it at the same time. With today’s lightning-fast information, I’m not so sure our markets are as efficient as they once were. But the markets have performed very well over the past few years despite these challenges. Are we due for a pullback? I don’t really know, but it helps to be prepared in case we do have a dip in the stock market. We also have some risk with bonds; if interest rates go up, the value of your bond holdings can go down. We try to reduce this risk by shortening the maturity of bond holdings so that they are not affected by rising yields as much as long-term bonds would be. For the past several years, I’ve been using another asset class to try and further reduce risk in clients’ portfolios: alternatives. Alternatives are investments that typically do not fit in the categories of stock or bonds; these could be commodities such as oil and natural gas and precious metals, currencies, real estate, and so forth. These types of investments usually have what we call “low correlation” with the stock and bond markets—they do not normally rise and fall in lockstep with the other asset classes. In addition, there are several types of alternatives, particularly the natural resources and real estate investments, that often pay dividends that can complement other investments in a portfolio. It’s important to note that alternative investments are not for everyone; most alternatives have minimums that are a little higher than typical investments, and sometimes they are not designed to be as liquid as, say, a typical mutual fund, and so the requirements for investor liquidity are typically a little higher. If alternatives are used as part of an investor’s overall investment strategy, I typically use them for about 7-12% of the investor’s portfolio. Using analysis tools, we can see how introducing alternative investments can many times reduce the overall volatility (up and down swings) the investor sees in their portfolio. This becomes very helpful to the investor who is interested in taking income, but does not want to see a lot of fluctuation in their accounts. Alternatives won’t get rid of fluctuations, but they may help smooth out the rough spots. If you would like to learn more about alternatives or see if alternative investments may be a good option for you, please feel free to give me a call at (865) 474-8115 or email me at monte@crestpointwealth.com. For single-income families, financial planning usually focuses on the breadwinner, and with good reason. This is the person who brings the income into the household. Without this economic engine, the family would be sunk. In the financial planning process, we assess employee benefits and personal coverage to assure that if this person dies or is too sick or hurt to work, there will be enough income for the family to maintain their standard of living. “Standard of living” is a broad term. In a single-income family, we want to assure that the stay-at-home spouse is able to continue staying at home. Imagine the tragedy of losing a parent, but then losing the other because they had to go back to work to support the family. Also, maintaining those aspects of life we take for granted—sports, school activities, vacations, weekend activities with friends—these are what a properly designed and implemented financial plan can help protect for a family. But what happens if the stay-at-home parent dies? Have you as the breadwinner stopped to consider how much your spouse does for your family? In my experience, in a single-income family, the working (outside the home) spouse averages about fifty hours a week at work. This doesn’t leave a lot of time for getting kids back and forth to school, preparing meals, doing the laundry, going grocery shopping, cleaning the house, taking kids to the doctor…the list goes on and on. In short, if a dollar figure were put on it, your stay-at-home spouse would probably make much more than you would first imagine. For this reason, in our planning we want to assure that the spouse is properly insured for the same reasons as the breadwinner—so the family can continue to maintain their normal lives. The working spouse will need to hire help for many things that need to get done around the house so they can have the flexibility to spend time with their family. In the long run, it helps the surviving spouse focus on making a living for his or her family, but in the short term (and much more importantly), it provides financial flexibility to spend extra time with the children. 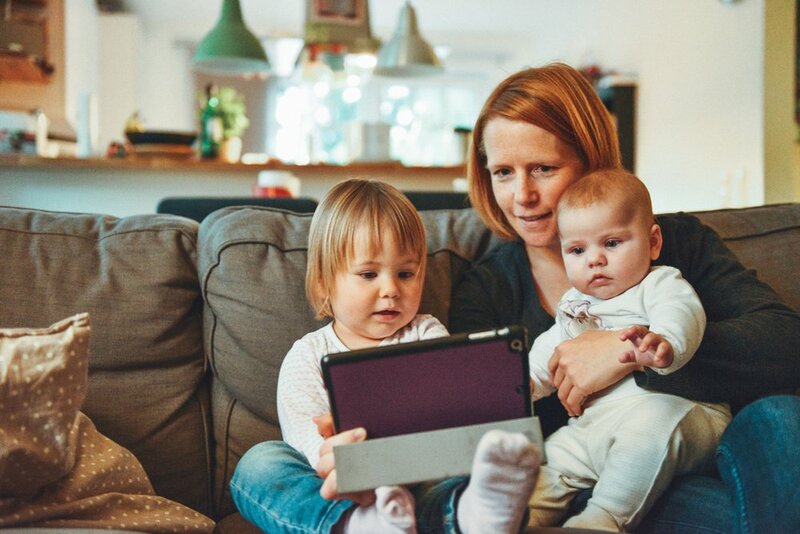 In the following video, WVLT Local 8 News reporter Chynna Greene takes a look at what the salaries of two stay-at-home moms might be if they were being paid a salary. The numbers may surprise you. If you would like further information on financial planning for your family, or to briefly discuss your situation in general, feel free to call me at 865 776-5577 or email me at monte@crestpointwealth.com. The Chimney Sweep and Financial Planning: Are You Taking Care of Your Family? This poem was written by Blake in 1789 to draw attention to the plight of boys (many of them orphans) as young as four and five years old being forced to work as chimney sweeps in the factories of the industrial revolution. You may notice parallels with the Charles Dickens classic Oliver Twist, which was written several decades later in 1838. Unfortunately, this was reality for children who lost their parents in those earlier times. What does the tragic story of chimney sweeps in Victorian England have to do with financial planning, you ask? The foundation of responsible financial planning is assuring that your family is financially stable if you die or if you are too sick or hurt to work. While it is admittedly rare to see children become orphaned, it does happen—my father-in-law was orphaned at six years old and was raised by his oldest of eight siblings, and two of my high school friends (brother and sister) were orphaned at ages fifteen and seventeen when their parents died within six months of one another. As we build a financial plan for our clients, we discuss what would happen in the scenario if a breadwinner is no longer there. What would it take to maintain the family’s lifestyle? What about keeping children in sports or music lessons, or private school? Do you want the family to still be able to travel like they always have? Another consideration that should not be devalued is a stay-at-home spouse and the contributions they make to keeping the household running. I’ve had dozens of conversations with single income families and the working spouse invariably has a look of panic on their face when I pose the question of how they would juggle their job, along with cooking, laundry, taking the kids to school, soccer practice, gymnastics, and everything else their spouse does all day. Proper planning helps assure money is in place to help pay for needed support. The financial considerations may seem obvious, but they should be bolstered with proper estate planning. The friends I mentioned became wards of the state until they were eighteen because their parents had no guardians designated for them. Having proper documents in place is critical in order to make sure your children are going to be in the custody of the people you want, and that the money you have left behind is being handled according to your wishes. Obviously, these are not the most enjoyable subjects to discuss, but if you have children, planning for their wellbeing is an obligation that in my opinion you just can’t overlook. If this is something you would like to discuss or if you would like more information on planning for your family’s financial security, feel free to contact me at 865 474-8115 or monte@crestpointwealth.com. If navigating the waters of finance seems troubling, CrestPoint Wealth would love to schedule an annual review with you! What Return Do You Really Need to Earn on Your Investments? When thinking about your investments, what is one of the first things that pops into your head? I’d be willing to bet that investment return is right up there at the top of considerations. Obviously, return is a huge deal, but from the advisor side of the table, I’m also concerned with how much risk (fluctuation for a certain amount of return) the investment has, and how the investment interacts with the other investments held by the client. In other words, if a client has an investment with a great track record, but three other holdings that are very similar (same industry, size, etc), she may be taking on more risk than she realizes by buying this new investment. I’ve been coaching clients to look at return in a different way—in what I call a “Family Rate of Return”. Basically, this is the rate of return a client needs to accomplish their unique goals, and frees them from the burden of chasing an arbitrary “best they can possibly do” number. Using tools such as eMoney, we can hone-in on what a client truly needs, and in most cases, we find out that they do not need to take as much risk as they may have previously thought to reach their retirement goals. This analytical approach gives clients great peace of mind, and it also gives us more options to spread clients’ investments among various options with a goal to protect downside, rather than chase unrealistic returns. Studies show that having a plan greatly increases your odds of success in retirement planning. If you’re interested in finding out what your Family Rate of Return is, or if you want to know if you’re on the right track for retirement, let us know. I had the privilege of growing up in a stable, middle class family in Memphis, Tennessee. I could go to my parents and talk about anything—any troubles, any concerns…but there was one subject we didn’t discuss. Money. You just didn’t talk about money. Not about how much the bills were, or how much the new (used) car cost, or things like saving for college, or my dad’s retirement savings. I’ve been an investment advisor for twenty-three years, and I’ve seen countless examples over the years of younger investors who have a very limited degree of financial literacy. This goes for people with advanced degrees as well—think about your experience in college; did you have any classes in general finances? Chances are, your classes were predominantly geared toward your major. Colleges across America have been churning out graduates with high rates of debt, and in most cases no formal education in how to manage their finances. 1. Have them help with the bills. Discuss what the power bill is and how it gets calculated, how much you’re spending on healthcare, and what the house payment is, just to name a few. This helps kids learn about how the household operates, and their place in it. 2. Discuss large purchases. If you are negotiating for a large purchase such as a car, this can be an incredibly valuable learning experience. Take them with you to the dealership so they can see the process of buying a car. When it’s time for them to make that first purchase, they know what it’s all about. 3. Talk about your investing experiences. I can’t count how many times I’ve had clients say to me, “I wish I had started earlier”. That’s good information for me to know, but it’s much more valuable to your kids! Tell them what you would have done differently to get an earlier start on saving, or to start saving more, earlier. 4. Talk about credit. Discuss the uses and pitfalls of credit, rather than letting them learn on their own. Prepare them before they leave for college that they will be bombarded by credit card companies, and how these offers of “easy money” can plague them for years. Of course, the timing of these action items needs to begin at the appropriate age, but including children in your household’s financial dealings can have a lifetime impact. Learning these lessons at home, and over the course of years, can turn your youngster into a financially-savvy young adult. I first heard these words of wisdom from the legendary investor Sir John Templeton early on in my career. They have held true through many market cycles. We find ourselves in a bull market that began in March of 2009, and since the lows in the Dow Jones Industrial Average of around 6500 at that point, we have enjoyed a stock market that has outlasted most bull markets in terms of length, and certainly in terms of percentage gains. Do I get a sense that investors are in a state of euphoria? No, not really; certainly not like the dot-com bubble of the early 2000s. At that time, I heard things like "this time it's different" and "we're in a new economy"--phrases certainly indicative of an optimistic mindset to say the least. When I had widows coming in to my office and wanting to cash in CDs because they felt they were missing out on the action, I had a feeling we may be in trouble. I say all this to simply say we've had a tremendous run-up in the stock market, and if part of your allocation is in stocks, it is probably a good idea to contact your advisor to assess your risk tolerance. We all tend to forget the tough times when the tough times have been so far in the distant past.